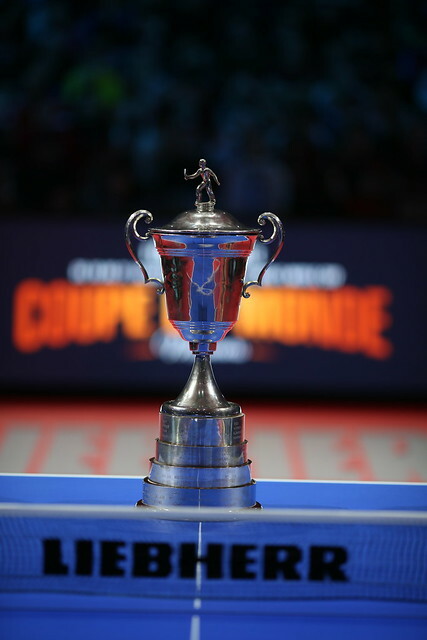 Four competitors left standing, one trophy up for grabs - the race to lift the Liebherr 2018 ITTF Men’s World Cup will draw to a close on Sunday 21st October but who will leave Disneyland Paris with magical memories to savour? The first order of the day sees two of Germany’s finest athletes taking to the table as Timo Boll and Dimitrij Ovtcharov meet at 11.00am (local time). Of course, as some of you may remember, it was Ovtcharov who emerged successful when the two Germans met at the final hurdle last year in Liège, Belgium. However, in their sole head-to-head contest of 2018 to date the plaudits went to Boll, earning a crushing 4-0 victory at the 2018 ITTF Europe Top 16 Cup in February. An all-German contest to kick-off the day and following on from that is another semi-final featuring two competitors from the same country as China’s Fan Zhendong and Lin Gaoyuan do battle. Top seed Fan Zhendong is looking to capture the Men’s World Cup for the second time in his career following his successful outing in Saarbrücken two years ago and while he leads the head-to-head standings against Lin Gaoyuan, the task of reaching the final will be anything but straightforward. So far this year Fan Zhendong and Lin Gaoyuan have met at the 2018 ITTF Asian Cup and the Seamaster 2018 ITTF World Tour China Open with the former of the two players prevailing on both occasions – will it be yet another success story for the World no.1 or a case of third time lucky for his opponent? Following a short break, the action resumes at 3.00pm with the bronze medal match before the moment we’ve all been waiting for arrives with the winners of the semi-final fixtures meeting face-to-face in the final.